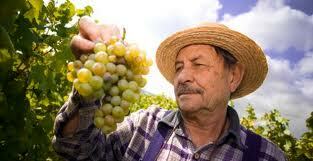 Out of the more than 2,200 wineries in California, 68 failed to pay for their grapes in the 2009-2011 period. And that could result in their being put out of business under current law. Now the state’s winegrape growers are backing a bill to offer a less severe penalty that would allow the wineries to stay in operation while extracting payment for what’s owed. “Nonpayment for delivered winegrapes is not a widespread problem, but when it occurs the amounts involved can be a very significant issue for the affected growers,” says John Aguirre, president of the California Association of Winegrape Growers. Assembly Speaker pro Tempore Fiona Ma, D-San Francisco, has amended AB 907 with legislative language that the winegrape growers say will better protect them from the relatively small number of wineries that fail to pay for purchased grapes. Currently, if the California Department of Food and Agriculture’s Market Enforcement Branch finds that a winery failed to pay a grower, or otherwise violated the Processors Law, then MEB can suspend or revoke that winery’s processors license.